Nightfall Pictures is proud to announce that production is underway on 'HI-DEATH', the sequel to the popular indie horror anthology 'HI-8 HORROR INDEPENDENT EIGHT' (review here). 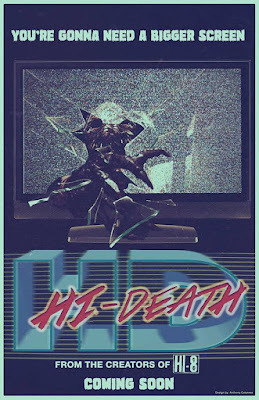 The 'HI-DEATH' directors’ lineup features a mixture of returning filmmakers from 'HI-8' as well as some new filmmakers. Like 'HI-8', the film is executive produced by Nightfall’s Brad and Josephina Sykes. Just like 'HI-8', 'HI-DEATH' places a strong emphasis on personal creativity and back to basics filmmaking. Filmmakers will once again be working on location, using practical special effects, and bare bones equipment packages. 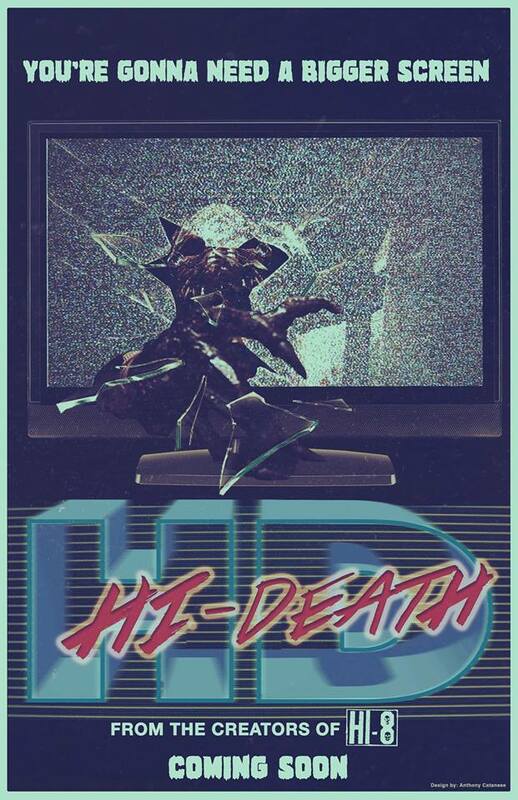 Unlike its predecessor, 'HI-DEATH' is shot entirely in HD, and the segments are longer, between ten and fifteen minutes, to give each filmmaker a chance to explore more complex themes and storylines. The sequel will also feature darker subject matter than the first film. We will have an exclusive interview with the executive producer Brad Sykes very soon so stay tuned.